Welcome to Blogmas day 23! 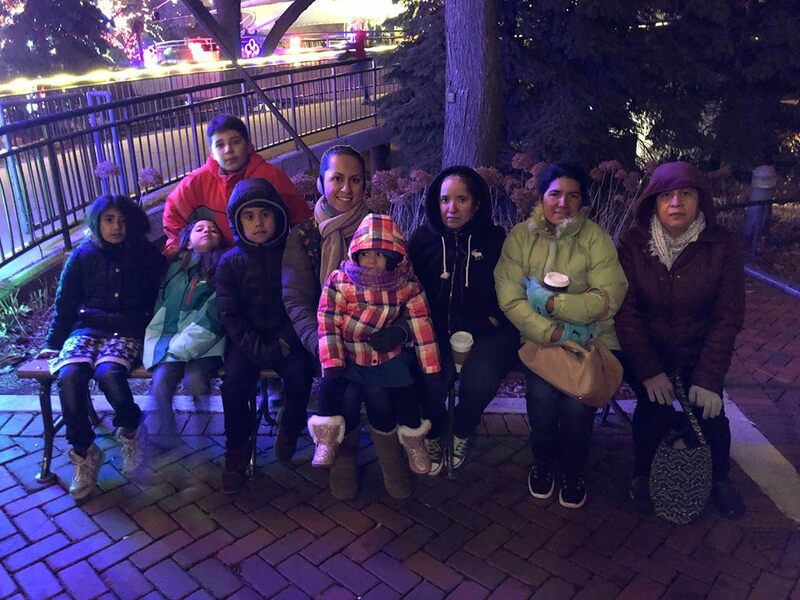 My family and I spent our Saturday night at Chicago’s Lincoln Park Zoo for the Zoolights. 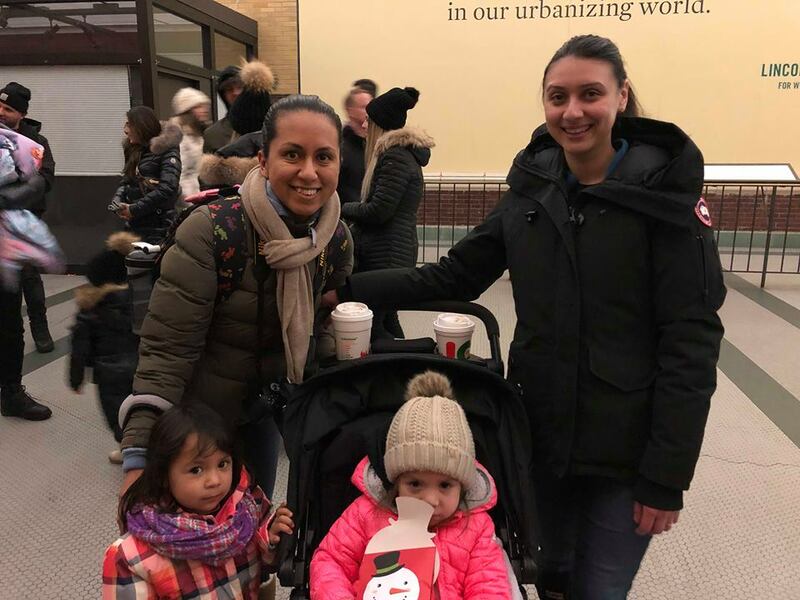 We were a group of 9 people, and in this blog post I share about the Zoolights and several pictures. 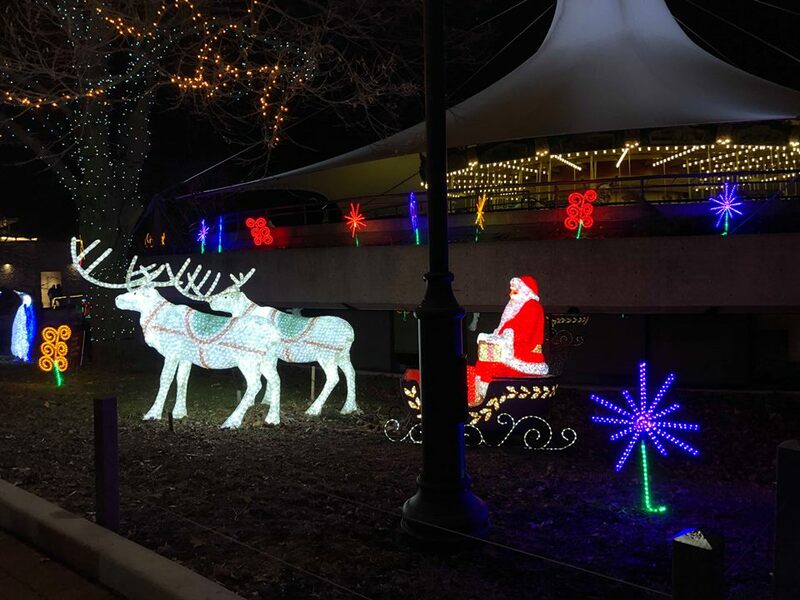 Each year, Lincoln Park Zoo goes above and beyond with lights. The zoo is free everyday that it’s open. Visiting at night to enjoy the lights is free too. Although, entrance is free, it’s $35 per vehicle for parking if you stay more than 30 minutes. The entrance to the zoo was hectic and they had people controlling the traffic. Once inside there were plenty of parking spaces. I visited the Zoolights with my husband, daughter, mom, and brother. We met up with my mother-in-law, my little bother and sister in law, and their aunt. By total coincidence, my friend Maria went too. We were texting right before we left to Zoolights, so we decided to meet up at the Zoo. We exchanged Christmas gifts since we won’t be seeing each other again before Christmas. It was in the 30s and we kept going in and out of building at the Zoo to keep warm. It was very busy and the bathroom line for women was insane. Lines for hot chocolate were long too. There were even lines to take pictures with most light decorations. We spent about 2 hours at the Zoolights and made the best of it with the cold and the crowds. I suggest going to Zoolights on the first few dates that it opens and avoiding weekends and the days leading up to Christmas. We ate popcorn and curros with hot chocolate. I find ice sculptures fascinating. The people doing these ice sculptures were really nice and entertaining too. Here are a few more pictures from the night. I highly recommend visiting Lincoln Park Zoo during the holiday season for Zoolights. It’s like a winter wonderland and I’m sure all ages in your family would enjoy grabbing a hot chocolate and looking at the lights. There were a couple of carnival rides and face painting available for a fee too. Do you love Christmas lights? What’s your favorite holiday season activity?